As Mogwai’s drummer ‘Martin Bulloch’ needed major surgery before he could get back behind the kit I stood in for him for another couple of tours. 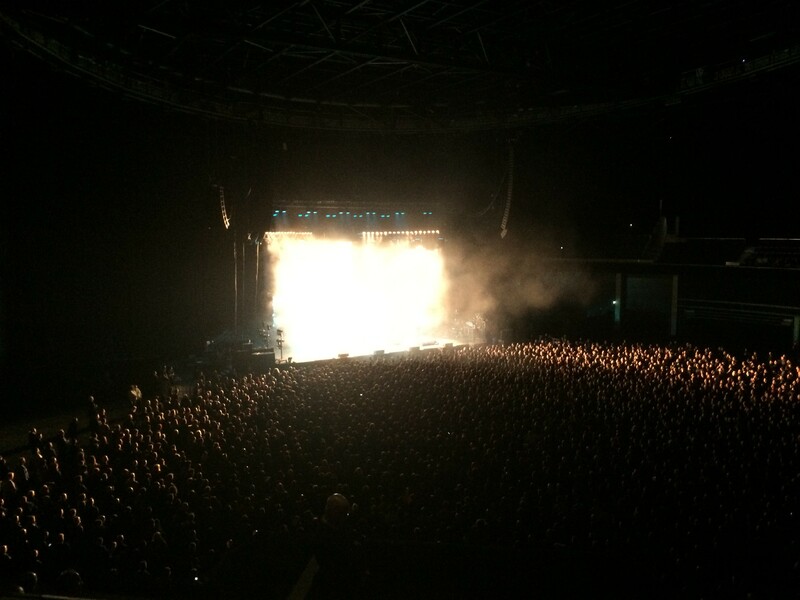 He was well enough to play 3 shows in the UK at the start of February which was ace. I jumped on the tour bus as drum tech for those shows & it was awesome to see Martin back in action. At the end of February we headed off to Asia & Australia. Korea was first on the list & we played 2 nights in Seoul which were both awesome. Next we landed in Japan for 2 shows in Osaka & Tokyo, it was my first time in Japan & needless to say I loved every second, food/people/gigs all amazing. I hope to go back there soon. After Tokyo our next destination was Australia. We hit up Perth, Sydney & Melbourne. We played 4 gigs over the course of a week and a half so we got chance to soak up some sun & have a crack at surfing during our downtime which was one of those amazing perks of touring. From Australia we went to China and played Beijing and Shanghai. It was my first time in China, we never get a massive amount of time to spend anywhere whilst on tour but it was fun to have a quick walk about both cities & explore before the shows. China is definitely a world away from the UK, super interesting! I landed back in the UK in mid March. After a short break I headed off to Belgium for a week in April to demo some new songs before coming back ready to jump on another Mogwai tour at the start or May! In May I flew to Mexico with the Mogwai boys & from there we toured South America. We played Brazil, Argentina & Chile. South America was another first for me & even though we didn’t get a lot of time to explore I managed to beat the jet lag & get out for walks during the day. I loved exploring Santiago & Buenos Aires where I had a little more time. June was the start of festival season with Mogwai so we jumped back on planes & tour buses around Europe for the duration of June & July. Highlights included headlining Primavera which was a total dream come true for me (I even made a drum-cam video of that one, you can check it out here!). We also played another festival favourite of mine – Best Kept Secret in the Netherlands & Roskilde in Denmark. 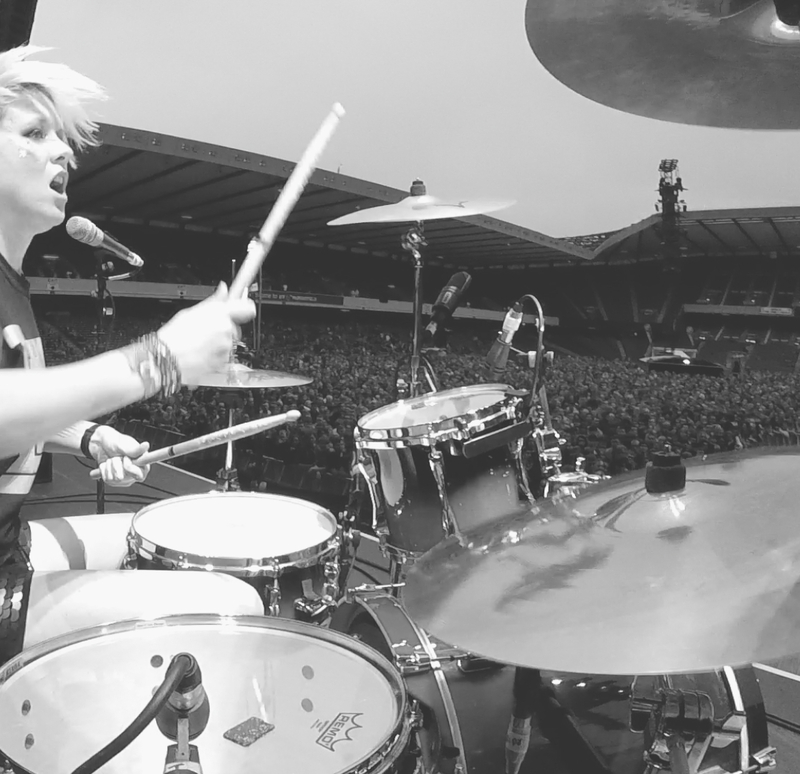 In July Martin was recovered from his operation so I went along on the tour as back-up drummer/drum tech! I had the most amazing year playing with Mogwai, being asked to stand in on drums for one of my favourite bands was a dream come true even for one gig. However having the opportunity to tour the world with them was mind blowing. 3 broken cymbals, hundreds of drumsticks & many bleeding hands later I know I have come out of it a better drummer & I am unbelievably grateful to Martin for trusting me to keep his throne warm for him whilst he was ill. 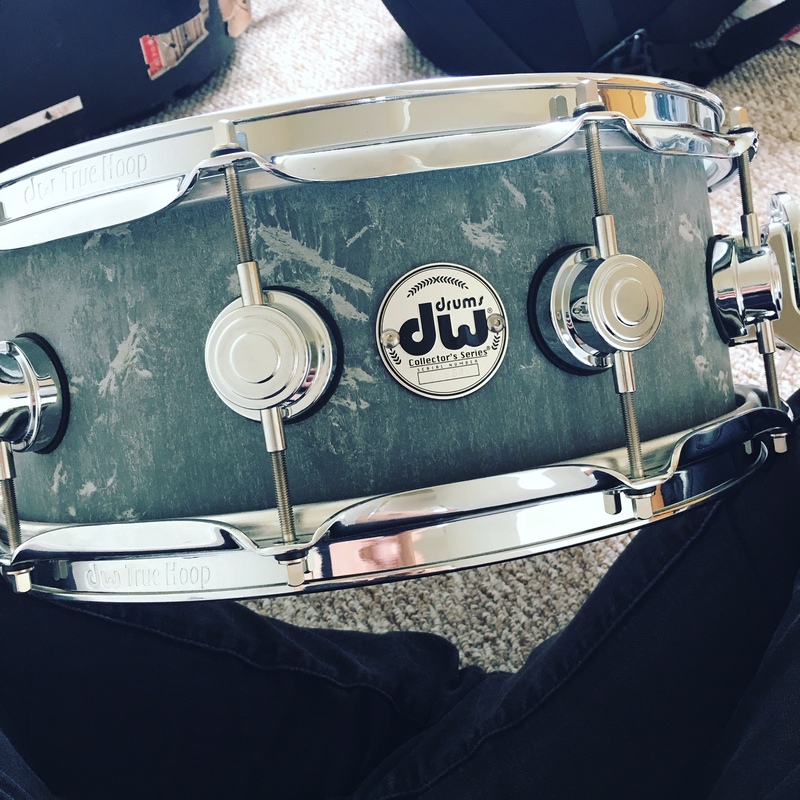 In August Mogwai gave me a DW Concrete snare drum as a thank you for touring with them. It sounds unbelievable & I still can’t quite believe it’s mine.